Mad Monday | Vive la France! Today is the French equivalent to Independence Day, better known as Bastille Day. It commemorates the day that the Bastille prison was stormed and signifies the end of complete monarchy, the birth of the sovereign, and would eventually lead to the creation of the (First) Republic. Like the 4th of July, food is an important part of the celebration. Sometimes French food can be seen as fussy and complicated, but here are a couple options that aren’t. 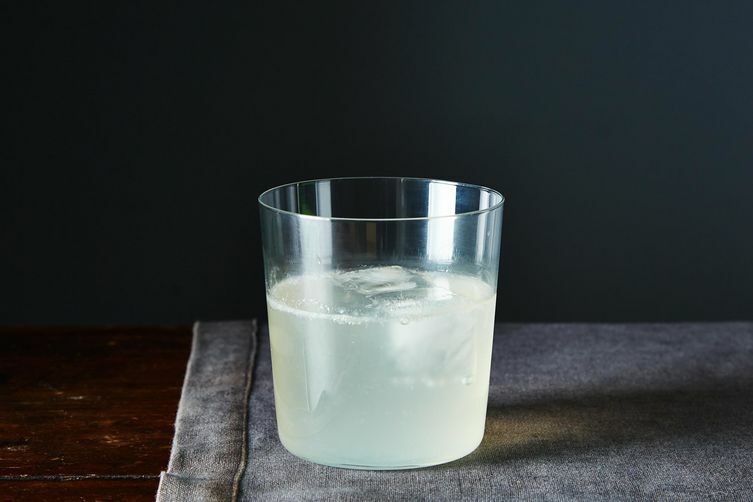 Add enough ice to your cocktail shaker to fill it about a third of the way. Add the gin, Cointreau, lime, and sugar, then cover and shake well. Strain the drink into tumblers chilled with ice. Finish off each glass with a big splash of sparkling wine. An additional lime wedge is optional. 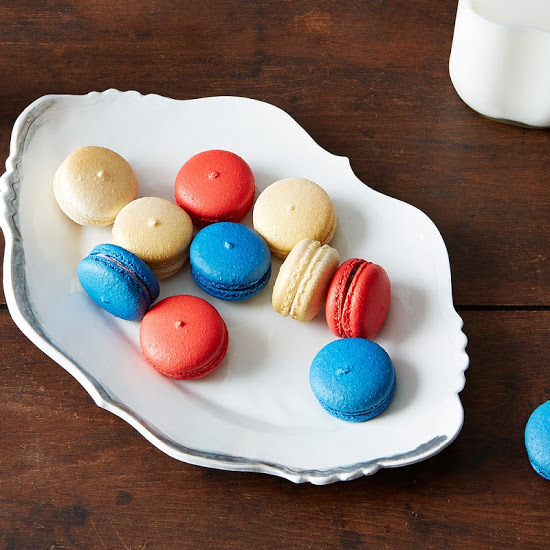 These Raspberry, Blueberry, and Champagne Cream Macarons are a great option for any occasion. Not to be confused with macaroons, which are lovely coconut or ground almonds circular cakes often mistaken for macarons. Macarons are tiny bits of decadence. They come in many flavors and shades, but when done right they are divine! Slice the baguette in half lengthwise, cutting about three-quarters of the way through. Evenly coat the cut sides with the butter and season with salt and pepper. Spread the fig jam & mustard over the butter on both sides. 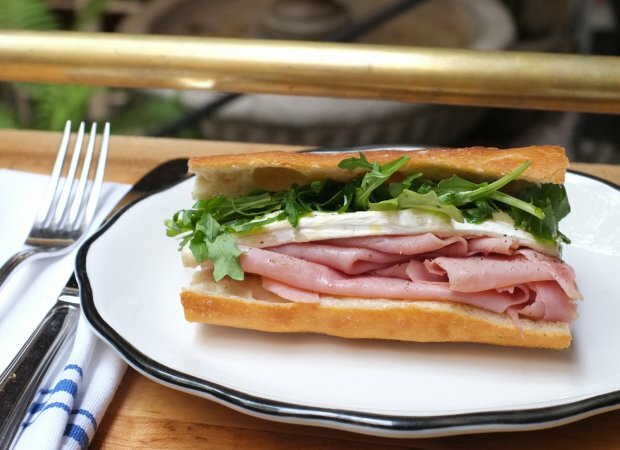 Layer the ham, Camembert and arugula on the bottom half of the baguette. Fold over the top half of the baguette and press gently to close. Cut the sandwich into the desired number of pieces and serve.